An educational tour is a welcome-break in the routine as it offers an opportunity for a rich experience. It facilitates learning while travelling. 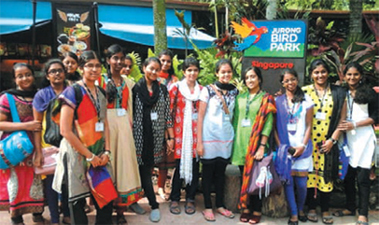 The school organizes different educational tours for students of classes VI-XII, to have the chance of experiencing the culture, connecting it with the people and place, on a much deeper level than they ever could do in the classroom. Students have the opportunity to move and interact with the society, which can broaden their perspective to a greater extent. They learn travel etiquettes and the tour that is organised for pleasure becomes a treasure. Such tours result in rejuvenation and help in appreciation of the rich cultural heritage. Students are independent and learn to adapt to the real life environments, away from their Home and Parents. All tour arrangements are made four months in advance. For class XII, the arrangements are made six months in advance. The tour dates are notified in the calendar. Those students, who are not willing to participate in the tour for whatever reason, should give a letter to that effect, 120 days in advance. For any withdrawal at a later date, a fixed fee will be collected from the parents along with the next term fee. 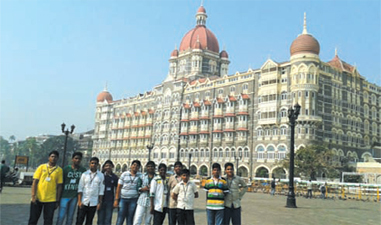 The students of class XII have their Educational Tour at the beginning of the academic year. Class XI students must submit their passport at the school office before the 30th of September, so that all arrangements are in place for their foreign tour in class XII. The progress of the tour will be uploaded in the school website. The Management takes utmost care in organizing such tours. For any untoward incidents beyond its control, the Management shall not be held responsible.